Home > Uncategorized	> Are you a tomato? I was thinking about tomato plants the other morning. As a child I enjoyed having a go at growing them and have done the same with our kids. There is one outside now which Mia grew, we got about three ripe tomatoes and it’s been good fun! I was thinking about the different stages there is in anything we do for the Lord and comparing this to seeds and the very tender plant that first appears and finally the flowers and fruit. Just hoping to encourage really, wherever we are at. Secondly may be you have just started with something, a bit like the very tender tomato seedling. Often it doesn’t appear as if there is a lot to do and waiting is difficult. Yet the steps you can see coming are going to need courage. Psalm 31:24 ‘Be strong and let your heart take courage, all you who wait for the Lord!’ (ESV). Or ‘hope in the Lord’ in other versions. Thirdly, what you are doing for the Lord is in no way second class or too small Zechariah 4:10 ‘Do not despise these small beginnings, for the LORD rejoices to see the work begin . . ‘. Also have confidence that any works that God begins he will complete Philipians 1:6 ‘being confident of this very thing, that He who has begun ta good work in you will complete it until the day of Jesus Christ’. Final thought: every time you think about your vision or dream, lay it down again before the Lord so it doesn’t become associated with fears or an idol. Get back to that intimacy with the Lord, enjoying Him and Him enjoying you, and then you can pick up your vision again when God shows you it is time for the next step. I planted my tomato seed in a seed tray last night and will wait in anticipation for the seedlings to grow. 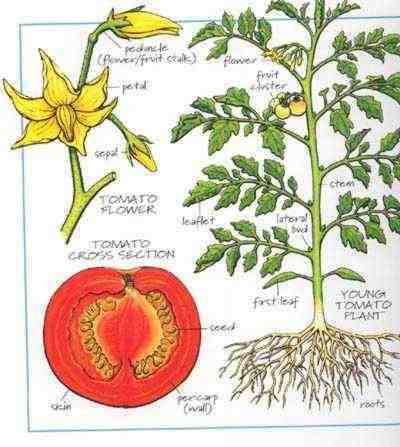 The seed within the tomato can only be ready to be planted once the tomato was cut open (killed), and the seeds discarded and left to dry and rot. In that abandonment, lies the beauty. Once the seed get eaten by a bird and ‘discarded” elsewhere; or dried on a piece of newspaper to be planted (buried)in fertile ground, that seed receives life and a single seed produces a plant bearing delicious fruit. Thanks Gerhard, I agree with your comments, sometimes I have a hard time ‘dying’ so a word in season for me!